Reaching success and being a household name in the country was not an easy journey for India's menstruation man. New Delhi: With no degree from one of the prestigious institutes of the country Arunachalam Muruganantham, a school dropout, is a name that stands high as a social entrepreneur. It was when, menstruation as a biological phenomenon was shrouded with blind superstitious belief, he, made it his subject of experiment; a concern to please his newly wedded wife. Reaching success and being a household name in the country was not an easy journey for India's menstruation man. Though fame had reached him earlier, Akshay Kumar starrer 'Padman' has given him the right recognition for what he has done to overcome one of the biggest social flaws. 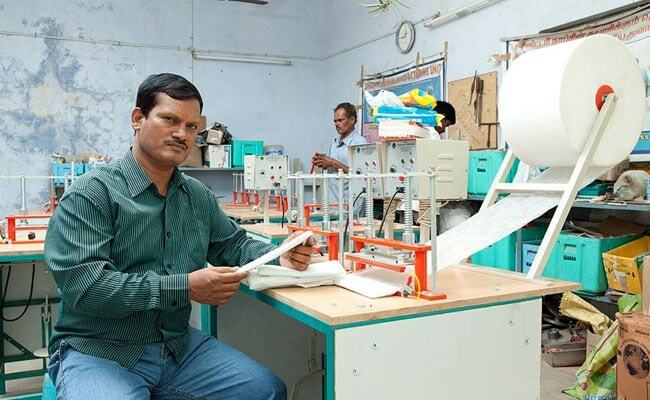 Arunachalam Muruganantham is well known for his low cost sanitary pad making machine and for creating awareness about the unhygienic practices around menstruation. Under the aegis of his organization Jayashree industries, there are 4500 sanitary pad making factories operating nationwide. In 2006, at IIT Madras his invention won the National Innovation Foundation's Grassroots Technological Innovations Award which helped him to get funding for his organization. He believes that our country cannot be called 'developed' if we cannot make mothers of this nation healthy. 'By looking at Mumbai, Kolkata and Delhi, we cannot say our nation is developed. In many villages, there are no roads. One has to walk for two hours to reach the main road. Many nations want to adopt shortcuts - build six lane roads, metro rails, mono rails, but it's of no use when the mothers are unhealthy,' the Padma Shri awardee had told NDTV. 'We want to create 1 million dignified rural employments for women and want to convert India into a 100 per cent sanitary-napkin-using country,' he had further added. In 2014, TIME magazine placed him in the list of 100 Most Influential People In The World. Two years later, in 2016, he received the Padma Shri.